Olivia, she's my middle and she loves to rough house and be all tom-boy and yet there is something about the pink and ruffles of being a girl that holds her captive. She wants to be a princess. Two weeks ago we were driving downtown when the voices on the radio began talking about a ministry for moms who find themselves parenting alone. And Olivia? She didn't understand. Daddies are supposed to stay. Husbands are supposed to love and protect. Love is supposed to be the one thing that is true and that remains. Her fairytale dreams began to crack, just a little bit, with the reality of how sinful our world can be. Oh, but there is hope. In the middle of abandonment and rejection and dreams dreamed about for years that begin to crumble - because there is One Who saw the distress that we were, that we are, in and He pushed through that veil that separates Him from us and as He laid down on that tree and bled out His Life for us, He was wrecking the chains of sin and death that hold us captive and away from Him. And as He rose again, God threw open that door and we are no longer lost in the dark - no, we've been snatched up and brought into the Kingdom of His Beloved Son. My Deliverer - You thundered through the darkness of death that seemed so unmovable. You stood face to face to it, You let it steal your breath and stop Your heart cold and You laid there, those three long days and I wonder if death really thought it had won. Your eyes flashed open, that rock had no power to keep You in and in an instant, the curse was broken. Because of You, because of Your gift of Life, death no longer has power over me either. Yes, this body will break down, but after I breathe my last here, eternity will fill my lungs and my rescue will be fully known - just as You will be fully known. Thank You, for the gift I can't fully comprehend. For laying down Your pure and beautiful Life so that I can find shelter under Your Mercy. 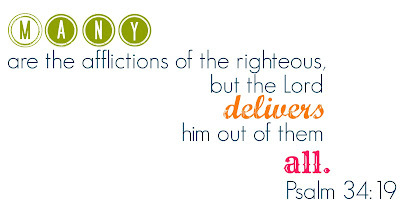 Thank You that I can come near and be delivered. His dad hung himself, but he left us all hanging in the middle places between then and what will be. And I can say, in these middle places, that God is good and that good has come out of the ugliness of the brokenness of suicide. But there is still a hole there, in the shape of a man still so needed and the ache rests on the edges of laughter and decisions and holding the hands of his grandchildren. There are days in a week where big decisions have to be made; when wading through all of the choices and options would really be so much easier if he was still here to call. And not even just to tell us what to do really, mostly it would be just to hear him promise that he would be praying. Maybe that's why everything that the word redeemed holds, holds my soul still today. To redeem is to act as a kinsman-redeemer. To avenge, revenge, ransom, to do the part of a kinsman - to do the part of the next of kin. God doesn't stand aloof at a distance, He isn't just there for a quick chat over coffee never to be heard from again. He loves me like the same blood runs through His veins and mine, because the blood of His Son poured out to make me His own. In the lack of my ability or anyone else's to bridge the gap between myself and Holy God, Jesus stepped in and paid the sin-price. Where I stand fatherless, He comes close and claims me as His daughter. 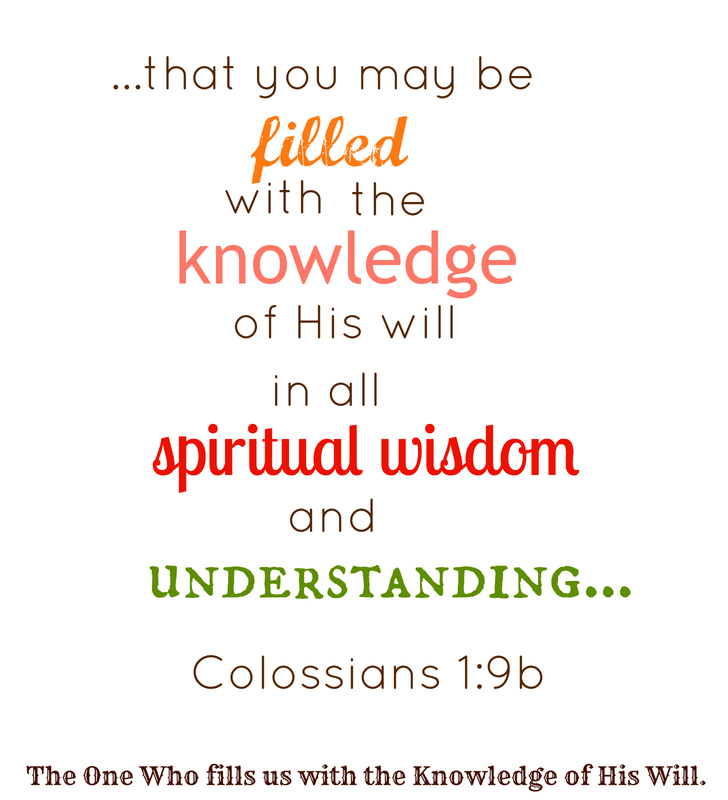 Where I sit overwhelmed and unsure, He is Wisdom. Arms stretched out and blood pouring down, He covered my lack so that I could be found redeemed in Him. God Who redeems with His Own arm, Whose veins were pierced and split so Your blood could be spilled out instead of mine. Whipped and spit on, beaten and mocked, a mass of ripped and broken flesh hung up on splintered wood. You stepped in, and with your right arm and your left spread open wide, You breathed Your last and declared it finished. And after death had its moment, You rose again and defeated it and it is under Your arm that I find shelter, forgiveness, a new purpose and life . It is under Your arm that I find redemption and am made brand new. inside a heart encased in bone. It can take the form of that first high pitch of that first whine of the day - that left shoe lost again for the thousandth day in a row. The fight over making the bed, sitting down for school work, the one hundred millionth cup of spilled water just today. And it's only 8 AM. He says one thing and I mean another and suddenly thunder is rumbling and eyes flash electric and the calm breaks and we are in the middle of a storm that turns my face red and my heart green. I need Him like the disciples did centuries after the Psalmist penned this verse. I need to see Him walking across the heaving of the foundation underneath me and reach out His Hand to say, Do not fear, sweet one, it is I.
I need to know He is coming, I need to know that He rules over all that is human in me. And that He can still everything that threatens to undo me. I need to know this promise today - that chaos can explode all around, laundry will still pile up and the vacuum still needs to be emptied and then run over the floors again, reminders and decisions and empty tanks will happen, but Jesus is there. and the air around me? God Who rules the raging sea - Who doesn't leave Your own in the middle of the storm alone. You are the One Who approaches, the One Who comes to rescue - You reach out to speak into the places in me that scream and rage. Your voice alone can still it all, but in the middle of everything that unsettles and makes me afraid, before You still any of it, You ask me to come. To walk out and trust You in the middle of it all. And like Peter, I struggle to keep my eyes on You, I struggle to believe that You are more powerful then the rage of satan that I can find myself in the middle of. But even if I falter... even if, Jesus? Your hands that were pierced and are scarred - they reach out and pull me back out. Because that is why You came. You didn't come to still storms, but to rescue us in the middle of them. And even if certain situations never do change, if there will always be the clap of thunder above me, You can still what is deep in my soul. but You calm the swirling beat of a faltering heart. Open my eyes to see You there, in the middle of it all, today. I have been saved by faith in Jesus and yet my heart is still so prone to be like Simon - seated and watching, my soul becomes fat and lazy on all of my works I think are so worthy while my eyes narrow in on the sins of others. If Jesus really knew...He wouldn't be so quick to reach out. Left unchecked, my heart is my worst enemy. Grace is something I haven't always understood - and it's been in the last few months since I became a mama of four that everything that seems to be placed in front of me is dripping with thoughts on grace. My life, so marked with fear and a desperate need to be good which turns into despair because I will never be good has ground to a halt and I'm kind of flailing here. Grace is something I'm drowning in - heaving in great mouthfuls of mercy and freedom; but as one who has been weighed down so heavily in works and rules, it's a little earth-shattering. My footing has been lost. Jesus exposes those deep, broken places and Graces rushes in to heal and restore, but a crippled heart trembles with the fresh beauty of the unknown. 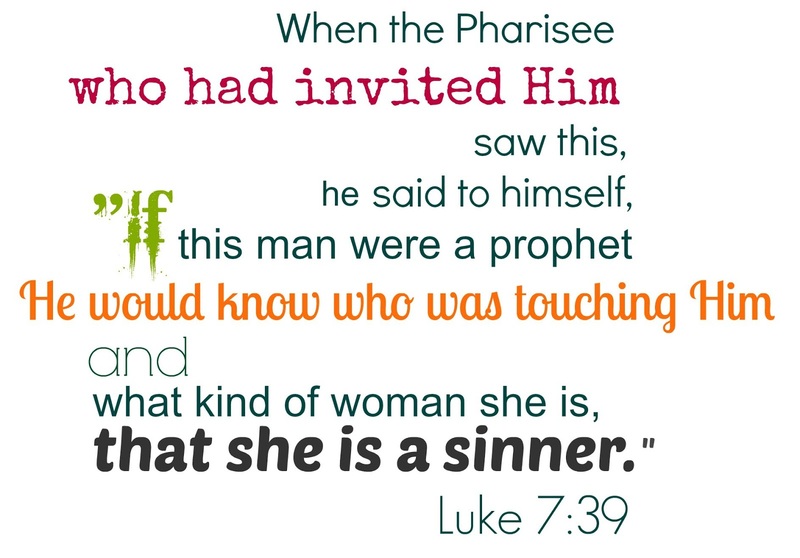 I imagine Jesus' voice - as He turns from the sinful woman to the sinful Pharisee and I am guessing that His words were sweetened with just as much love for him as they were for her. It probably won't be easy to hear. But it will be transforming. I try so often to come to You on my own - I forget I am clothed in Your righteousness already and when I try and do well on my own, I am really trying to rip of Your righteousness so I can put the rags of my sinfulness back on again. You hear each thought - and You understand the root of them all. You see the origin and You answer from those places. I shouldn't be surprised - The Unfathomable understanding the frail - so when You come near, when Your Words pierce my heart with all that they hold, keep me near You. There is Grace in all that You do. I am clinging to that, to You, today. I go about each day needing to always be filled. It starts first thing in the morning - that bleary-eyed search for my coffee cup while the three older-little-ones-who-aren't-so-little clamor around for breakfast. There is always a search for something to fill. And maybe for an hour or two, that need is satisfied - until a tummy rumbles or boredom sets in or the whisper of someone else's hunger is heard and that need rears it's head again and the search sets in once more. It's a hunt that is in each of us - and we don't always recognize it for what it is. It's a desire for Jesus. The desire that sustains according to God? It begins and ends with Jesus, The True Promise - the Only Promise that settles the rumbling of a soul. 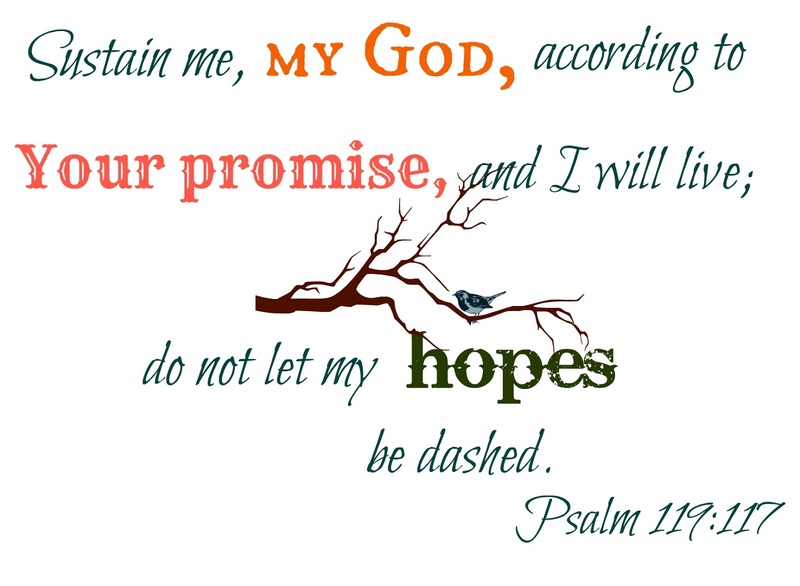 And if my hope is in the Sustaining Promise of Christ - my hopes will never falter, will never be dashed, because I will be cupped in the Fulfillment of God. The sun is already beating down hot and if I look too far into the day ahead of me, my shoulders begin to brace themselves for the load that borrowed worry heaps on. I forget so easily, Jesus, that Your load is easy - it's light, and it's one I don't carry alone. 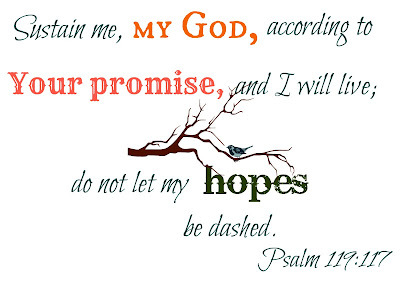 Each promise of God? It has been made complete in You. You are the Beginning and the Amen - There is nothing about my day that can't be cupped in Your Hands. Sustain me, my God, according to the Promise found in Jesus, and I will live - this day will have life and will be fulfilling. I place each hope that trembles, that could so easily turn into a weight of worry, into Your Hands that hold the earth I walk on. Faith believes, and I believe that no matter the outcome of each circumstance, my hope will not be dashed - because You are the One Who holds my gaze. God Who holds me up - I lean into Your steadfast strength. but we are human, just like him. And sometimes, because we are frail, we want the reasons behind the circumstances. It is hard to know at times, that there is a God in heaven Who could reveal all our mysteries, but chooses not to more times than not. There are times that it all seems to get worse and the hand of God stays still. Couldn't He just say some words to us? 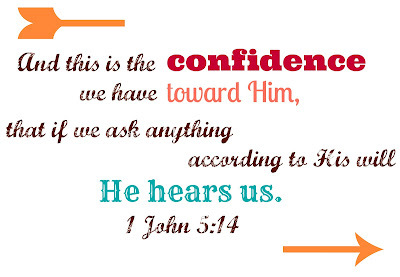 Instead, He calls us to trust - whether He tells us those secrets or not. 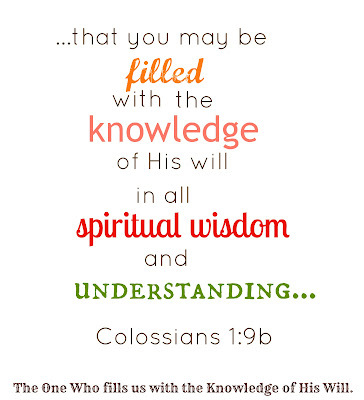 Whether He reveals the hidden answers or not. 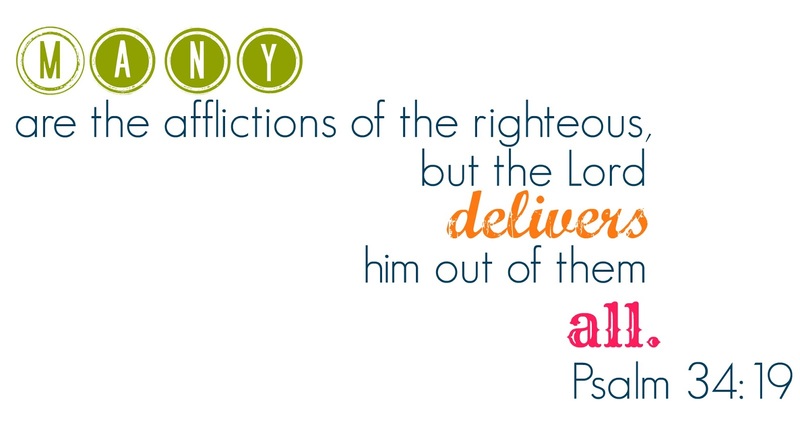 Whether He fixes the situation or our ears hear His voice. We may not always understand the why behind His decision. We may wake up in the middle of the night, shaking from a dream that He alone has given. What we can know, is that there is a God in heaven Who will let us know what we need to know in whatever means He chooses to give. There may be a wait - it could be 1 day or a lifetime - but as we wait, we can choose to trust our God Who has no equal. Who sees the big picture above us and yet walks so closely beside us, in the middle of whatever it is we are going through. 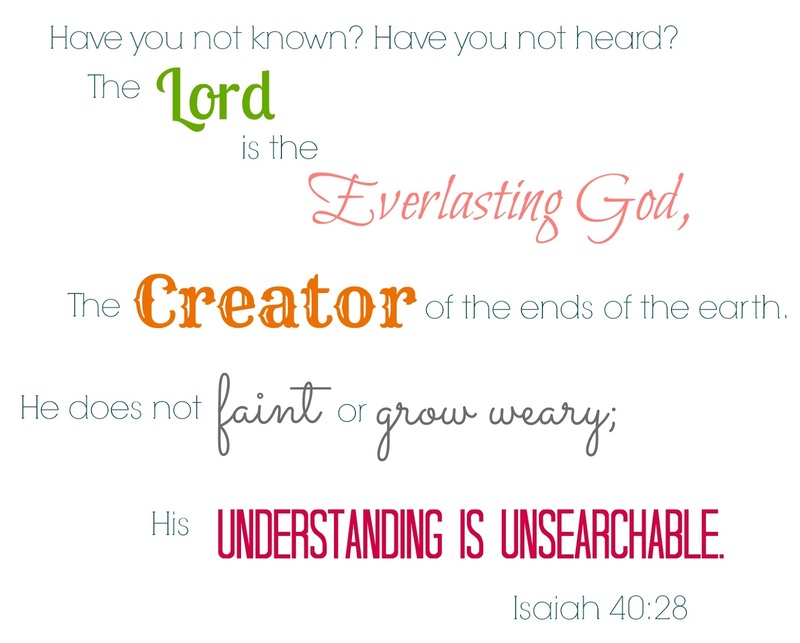 The God Who reveals secrets and mysteries - The One Who I will never come close to understanding fully. You see it all. You see all the circumstances that lead up to my today and what makes up all of my tomorrows that You will give. I am in awe. You called the heavens into existence, You have flung the galaxies wide and name each and every star - and You see beyond all that grandeur and beauty and You see me. You know me. You speak my name. You know what weighs heavily on my heart - the questions I have and the answers I want - You know the deepest secrets and though You choose to keep them hidden right now - I choose to trust, even when I don't want to. Even when I fight against Your wisdom - I choose to trust that You reveal what is needed and what You keep hidden is only and always for my good. You took on our dust and You wrapped yourself up small and You bore every sin on a frame that would die. You choose to still come near - to enter into my frailty and make me Yours forever. There is no moment that I am out of Your sight - no circumstance that You don't understand fully and You never love me more or less than You do right now. You came as a Light into our dark and I am never alone. Never. Because You are the God who is with us and You have let me be made right with You. I had my moments of thinking we are this very morning. Tony came in and let me know that we had been warned again about our decision to move down to the inner city. This time, it was by a person who had lived just 2 streets down from where we are hoping to buy. Maybe we really are a touch crazy. Yes, it may be dangerous. But I keep thinking of that one situation and the brokenness that surrounded it. And how Tony and I had prayed over it just on Wednesday and how on Thursday, God threw open the doors and provided an unexpected opportunity for Tony to connect a few of the fragments back together. God has a plan for these kids. Because after that unexpected moment God opened up, havoc was wreaked in the hours following and if God has a plan, satan does too and we are in a spiritual battle that I'm afraid we have become numb to. The words spoken this morning were said out of concern and there is something so precious in the care of another. I have wanted to tread carefully when these words are said because what happens if it's a caution from God? I sat on the couch while Tony walked into the kitchen, cradled my coffee mug in hand and began to pray. And there are those verses in Exodus - the ones that recount the Hebrews leaving Egypt with Pharaoh's army in pursuit...and it was there, in the dark of the night that God stood between the two as a pillar of fire and protection for His people. I'm not saying that nothing bad could or would happen to us. I know that this life is small in the light of eternity and if we lay down our lives for Him, we will gain something infinitely greater. We aren't called, as Christ-followers, to live a life cushy and safe. 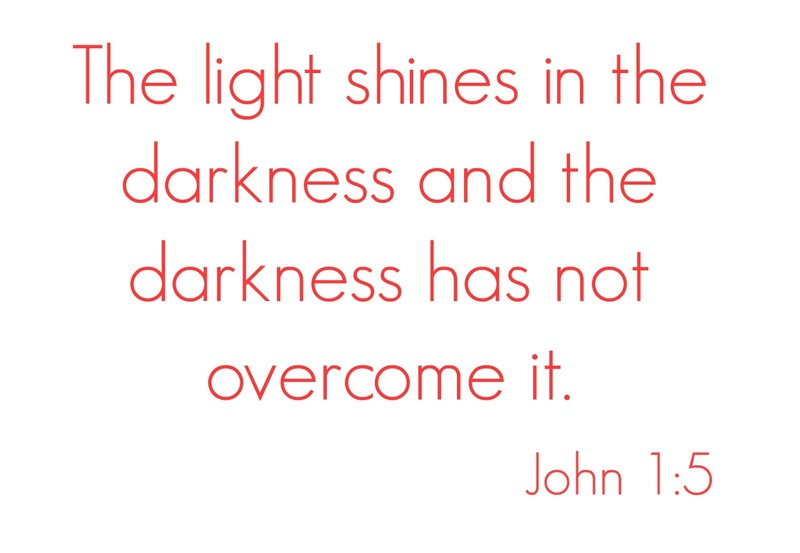 We are called to be a light in the darkest places. To be like Him - and Jesus? He entered into the dark of humanity - took on our skin and came to the hurting and the lost. but even if there was just one that He had a plan for? It would be worth it. 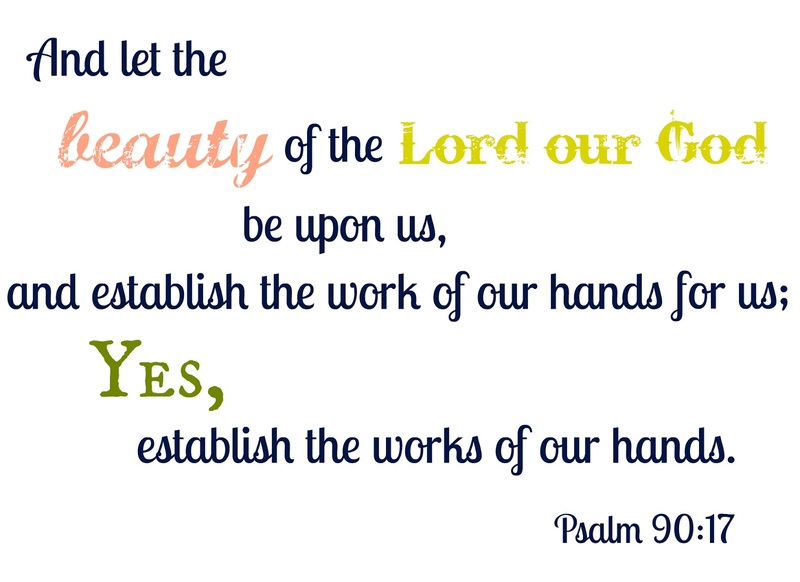 It would be worth giving up our safe and secure to be used by His Hands. Tony? He was walking down to the main building the other day - kept trying to come up with a quote of Jim Elliot's and couldn't remember it. and that reason is God. He isn't going to leave us without Himself. He will be there - in the dark and in the day. You know the late starts and the missed opportunities and all the other details in between. You know how the mantle of "the righteous" feels odd in the awareness of my sin. You know that I don't fully understand Your grace - the freedom I have in You. You see all of this, You know each little nuance and still, You deliver me out of sin that so easily entangles, out of the words that roll around in my mind that rumble out failure and knock down hope. You reach down, waiting for me to just. look. up. - to just reach out and grab hold of Your strength to make it through another mundane, crazy, there-is-so-much-to-do-and-not-enough-time day in front of me. And the stillness that surrounds You, the deliberate slowness of You helps me to breathe again. You hear it all - the silly and the sacred. The ugly and the praise - You hear it all and it makes me pause. You, the God Who can make beauty out of ashes and give the oil of joy for mourning, You call me to take my eyes off of the circumstances around me and approach You with the confidence of a daughter who knows her Daddy will hear. I wonder if I have been looking at this all wrong all along - that I don't have to wait to feel worthy to approach You - Your blood alone has made me sure, so the confidence I search for and find lacking - it's already mine and all I have to do is come. You are trustworthy and Your ear never misses a whisper. And Your will - isn't as illusive as I always thought either. 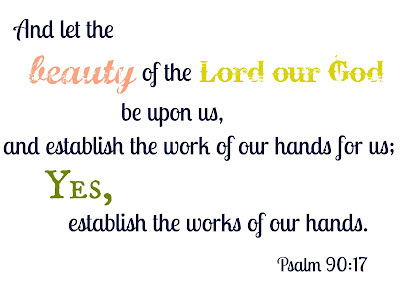 Because You have formed all things for Your pleasure and to show Your glory and my life? You can use even that. My life? I want it to be Yours. I want you to use it for Your glory. Today - it's surrounded on all sides by the truth of Your grace - that You hear this daughter who is growing beyond the timid and drawing near in the confidence that can only come from Your goodness. I didn't have to be there to know the details. And maybe that's what makes it harder to hear. I don't have to be there to know exactly how it all went down. Because she was knit together, in fearful and wonderful ways, just there, in those hidden places underneath my heart. She heard me sing in the car down the I-5 before I even knew she was there. I don't want to feel lost. I want to have the answers and the assurance in my words to convince her that change is actually a beautiful thing. For my words to somehow sink deep down and wrap around her soul that is so afraid of failure and remind her that trying to be perfect will shrivel up hope, will wither her spirit and that desire for the perfect is really an unquenchable desire for God. that bowing before Him will soften her heart to a perfection that only He can attain this side of heaven. I don't know if my voice can carry the conviction that will slip past the anxiety that has wrapped like a vice around her very life. I can begin to wish for my own version of perfection and my hope begins to curl around the edges, threatening to shrivel up and choke on unmet and impossible expectations. There is a sister of his who drove out for my birthday and surprised me with a book that I had been praying about getting. but these pages steeped in Gospel and Grace and God have held my attention and left me wanting for more. to finish what He's begun (Rom. 8:28-32). 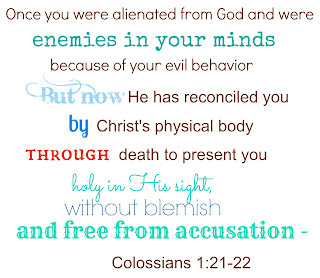 your behalf for your salvation and for the glory of God! and He can use even the most broken places of our lives for His glory and praise. 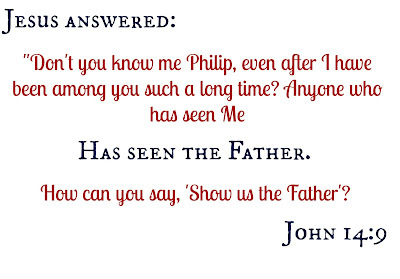 It was those words You said to the disciples before you ever turned to Philip. Before he ever asked to see the Father. 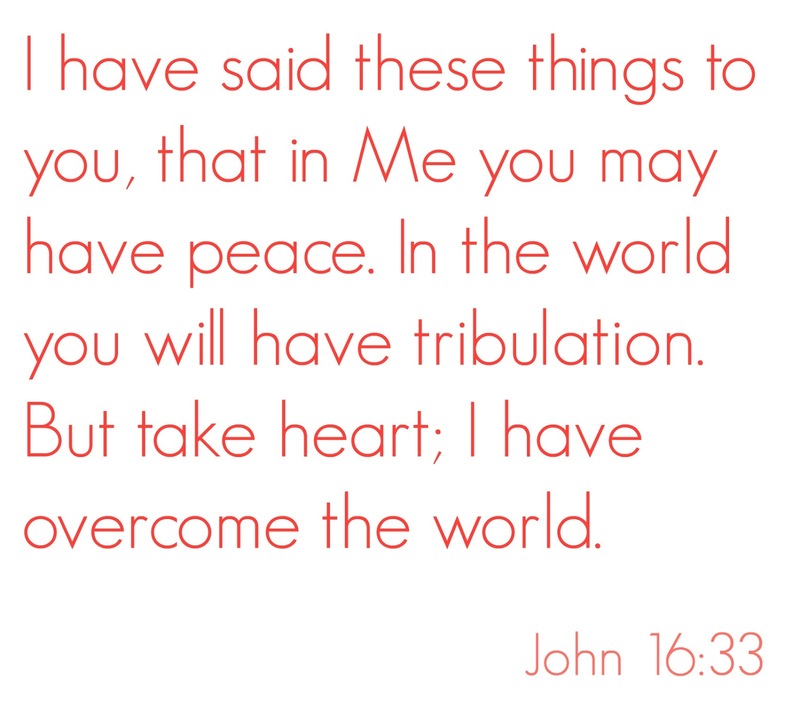 Before anything else, You call for our hearts to not be troubled because Your heart beats sure. 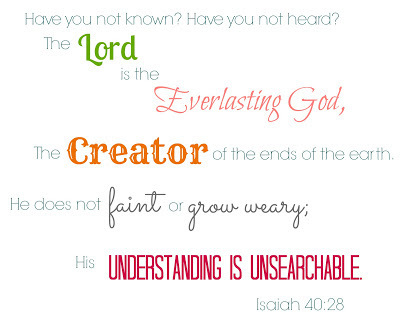 You are God - an amazing mystery that brings comfort and awe. I behold the Face of God. Eternal, Uncontainable God - You wrapped Yourself up in dust and You came so very near. The air that fills my lungs has filled Yours - You touch the deepest places in me. You cover my days with Your beautiful grace and I have walked with You all these years - today let my eyes recognize You in my moments. In the moments that seem crazy and chaotic - raise my eyes to the reality that You are holding everything fast. so that I see You above everything else. By 4 o'clock this morning, I had been covered in the vomit of 2 children. Exhausted and a little overwhelmed, I got us all cleaned up and laid the smallest one back down and made the oldest one comfortable and then I waited in the dark for the sick-call to come. Because it would. And what else can a mama do but respond? I thought of my sin a lot through the night. Covered in vomit, the stench seemed to bring it to mind. But I also thought of You. and when my eyes are focused on all of my brokenness, I miss the beautiful truth of what You have done. In the earliest hours of the morning, I was alone with a washcloth in hand, scrubbing vomit off of myself, the floor and the bed frame. But under You, under the grace of Your sacrifice - through Your physical body dying under the weight of my sin, I am reconciled to You. The reproach is lifted and I am free - no spots, no blemishes...the accusations calling for my payment I can never make...they are gone. 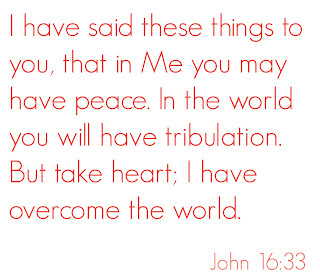 Overwhelming grace, Jesus. Your forgiveness takes it all and changes it for Your glory. So in a house full of sick today, I can remember in the middle of vomit and tears that because of You, I am clean and the grace You gave me is the grace I can offer even in the middle of overwhelming messes. 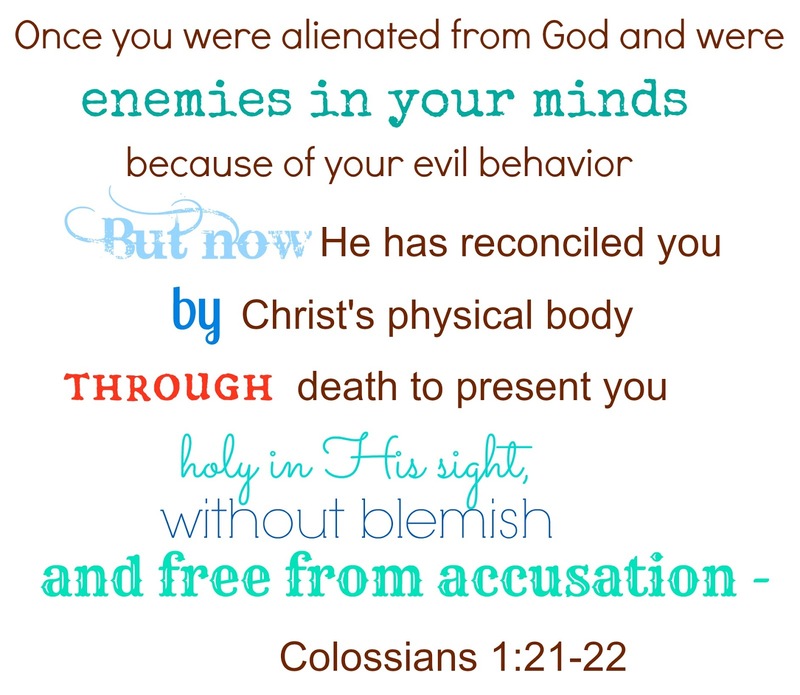 Out of all the verses I memorized in Colossians, I can remember that this verse was my favorite to say. The cadence of the words, the roll of them as I would place specific stress on specific words. And I wonder, as I would say them over and over, if in Your nearness You were ready to open my eyes, to pierce my heart, if only I was willing. Paul, he prayed this specific thing for the believers in Colossae and I can become so jaded thinking that these words were only for them - but all of scripture is full of Your breath and these words - even these - are truth for me to hold on to as well. And this is a gift - You don't just give some or a small portion of knowledge when it comes to Your will, but You give all and it's surrounded with wisdom and understanding and I can stand here confident and not shaken because You never leave me without access to You. Sleepless nights and feverish babies and overtired children can leave my heart and my mind depleted - but in You, I have all that I need to step into this day and live out each minute to glorify You, and where I will fail - Your amazing grace covers even that. So this morning, fuzzy-brained and coffee-less, I can trust that when I flounder, (and I am so thankful for this) You are there. I only need to ask. Your Mercy surprises - like stepping outside onto a porch baked in the summer sun and catching my breath as the cool valley air blows by. Your Mercy is like that. I have stood hardened, scorched by the heat of my own sin. When they all realized that the air was cooler outside than in the house, our older three came running - as they threw balls and rolled on the grass with the puppy, I pulled up a chair and pulled Zeruiah near; I wrapped my arms around her and pulled her in close and as the wind blew, she leaned into my heart. Your Mercy is refreshing, it's a constant movement - and my sin is no match for Your compassion, for Your love that stands firm in a rushing river of grace. I come to You, not to stand by on the outskirts like I have in the past, bent over in shame and regret - my skin barely touching Yours - but to press in, to enter in to Your Mercy that protects and surrounds with Your steadfast love. There is no place safer - no other place that I will find healing for the starved areas of my soul. You surround with Your Mercy and You fill the dry spaces with Joy. And I hear Your heartbeat giving rhythm to my day as I press close to You and Mercy rushes by. ~ Today begins something new that I am going to put into practice for this next year, Lord willing. With four little ones, my creativity is limited, but I have been praying specifically about God's Word sinking deep in my heart so that it isn't just a box I check off, but that it actually begins to transform my days. 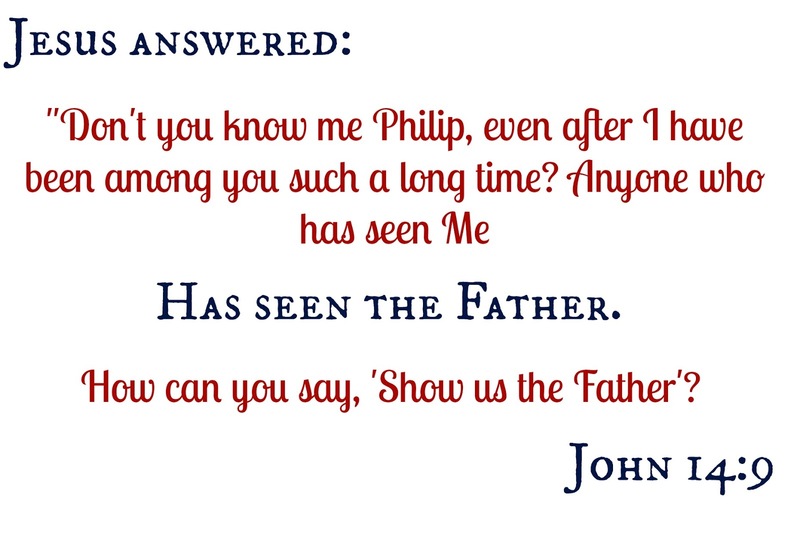 His answer led me here, to the Practice of Adoration. Were my days seeing more failure than success because I wasn't glorifying Him or giving Him thanks for Who He is? Are my ideas about God based on His Words, or are they based on Who/what others say He is? So, when He led me here randomly, I knew this was His answer. My goal is to write here, every morning, for the next year based on these printables. These postings will be quiet - no promotion on facebook, just a quiet place to worship and come to know Him as God and you are more than welcome to meet me here as I meet Him in this space. On top of these postings, I'll continue to write about the journey God is taking us on as we trade in our safe for His anything and move down to the inner city. He is already opening doors and I sit here overwhelmed. But Jesus must be the foundation - not only of our dreams, but of this space, and I am excited to see how He will make Himself known. The nights where she cries out are becoming less and the mornings where I wake from uninterrupted sleep are becoming more, and my mind emerges disoriented. Her cry finds its way into my dreams so that I can provide the comfort that she needs, but You - You never drift off. My cry never surprises You, it never catches You off guard. You, the attentive Father, know my voice. The day begins and You already know what is ahead - You know the conversations and the unspoken meanings. You see the brokenness and You are the Solution that I so often overlook. And yet, even in my forgetting, You don't grow weary - You continually pursue. How can I not praise You? How can I not thank You? How can I not trust that Your eyes see all the pieces that I can't? Today I am choosing to rest in knowing that I will never fully know. But You do. You see from the very first moment to the last and that regardless of what happens today or tomorrow, or what has happened in all of the yesterdays, You are good. My sense of comfort and security being rearranged is only a layer. It seems that when the Holy Spirit is working, He doesn't just tear apart one area. He is out to wreck it all. The Holy meaning to make the broken whole. and He prayed for unity. And the words from this mouth? They tumble out so easily - the ones that speak venom and malice, and when I step back, I'm horrified. This past winter I studied the book of James and there are those verses that focus on the tongue and I have them before me and my heart is broken. 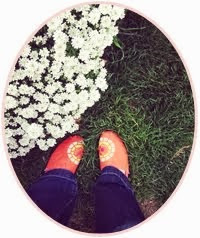 How can I move from a time with Jesus, where I think, I can do this, stand up and quickly become the fool? There was an evening, about a month or so ago, when Tony leaned in close and said the hard words that I needed to hear. He asked me if I feared God. If I saw Him as more than a Friend, as more than Someone to hear my complaint and my prayers? Because when I keep doing the same wrong thing over and over again, could it be that my view of Jesus is skewed? So I have begun to pray for eyes to see His holiness - and He is answering. And it's hard. 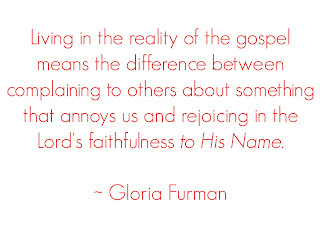 Because when you begin to see glimpses of His purity and holiness, your own sin becomes horrid and large. My words I spoke? Left a horrible taste in my mouth and the heaviness pressed in. ~ Stay in the front yard. ~ Your brother and sisters are your first friends - if you can't be kind to them, you aren't ready to handle the responsibility of your other friendships and will have to come inside. I was met with, But what happens if we can't?!! We are twisting and flailing on this earth, while we wait in the middle for Home. And we mess up and tear each other apart and it seems like we'll never get it right. Being justified is "just as if I had never sinned". But not only that,to be justified is "just as if I had always obeyed". God knows I am but dust. He knows the sins I struggle with and lose to at times, but because I have faith in Jesus, when He looks at me He sees the perfect record of Jesus. And Jesus walked through life perfectly. And that perfection covers me. I offer Him my anything, and He takes my open hands and all of my mess and He takes me at my word. The process is ugly and hard and the worst seems to be constantly rising to the surface - but if i keep my face turned to Him, lifted in hope and not bent in shame, He'll keep changing me - all of me - to look more and more like Him. For just a little more than a year, we have called this home our own. I can still remember walking through our front door and knowing that this was going to be home. Back then, Starbucks paid our bills and fueled our energy and I can still remember the look on Lyla's face when she asked me, No more moving, Mama? This is home? Tony and I? We had looked at each other that evening we got the keys and we both agreed - No. More. Moving. We needed roots and this home was going to provide. And then he got that job in the complete opposite end of town - and I'm trying to remember the day when this house we're in didn't feel like home anymore. But it really doesn't. Home to me is on that street with those big old trees and those old stately houses. Home to me has graffiti sprayed across it and is held together with the unknown across the road from the Mission. 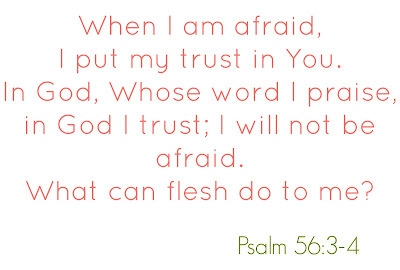 I keep coming back to that verse in the Psalms - If what is so heavy in our hearts was placed there by Him, what is there really to be afraid of? and I told him that I can't find the words, other than this tightening in my chest that is making it so hard to breathe. As though there is a fire burning low in my lungs and I can barely sit still under it. Like i can't get down there fast enough - and it hurts, this waiting. I told him, that the rational part of me should be scared. There's drive-by's and drugs and gangs and just last summer a little girl had been shot in her front yard. But then I told him I'm so tired of trying to keep up - keep up with neighbours and Target and I still haven't decorated all my walls...I'm tired of trying to find a comfort that has never been mine to have because when I said yes to Jesus I said no to everything else. I feel like I should be terrified. And I am, but it isn't for the reasons that I feel I should be. I'm terrified of not obeying His call. And I hear it - as though His Voice is just quiet enough, barely loud enough to catch and it's pulling me, pulling my heart towards His plan for us there. At the beginning of June, when I first opened that book, I really did mean it when I offered Him my anything. I stripped beds this morning, gathering up sheets to tumble in the washer, and my hands began to shake as the magnitude of this decision sets in. Anything means everything and am I really, really that willing? My heart races to the impatient pounding of the dreams I believe Jesus is giving, but I have no idea what all He has in store for us there. And satan - he will do anything to discourage. I think that's why I need to write this down tonight, as a marker of sorts - a laying down of my own stones of witness to watch over my yes to His call. Yes to whatever He asks of us. There is a home - actually two - that are opening up. We still own this one. This side of those tracks whispers safety. That side of those tracks holds our hearts. There is so much standing between us and the vision we have been given. We'll keep moving forward until He opens the door and we will only stop when that door is closed by His hand. Either way, I am desperate for Him. Desperate to be in His will and to be exactly where He wants us. Here is my stone, my altar before Him. this very moment right now can seem as though it is moving too fast. And a heart can beat strong with bravery while still quaking with fear in the quiet and everything seems so unknown while your hands are flailing for anything to hold on to. that is unmovable and sure. I stand here, in the middle, holding the hands of my little ones while trying to shield their innocence for just a little while longer. To let them be children before they are thrown into the wrestlings of a society around us that runs to the perverse rather then towards purity and truth. 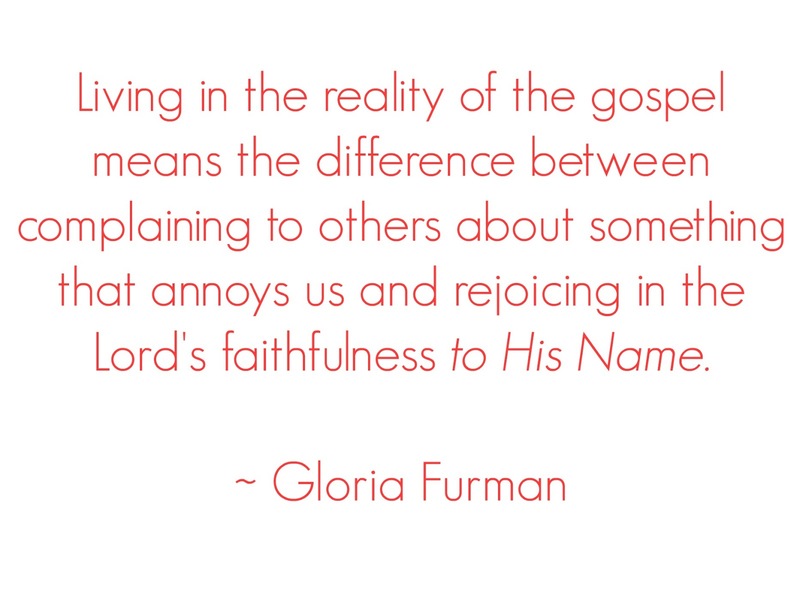 I can forget, so easily, that this is where the truth of the Gospel comes close. That the Gospel-truth is for all days, not just that first day that held my first prayer to the Eternal God Who is sovereign over every single day that has been and will be. Because He has set me free from the darkness around through HIs death on that tree. He died and He has rescued me and He has made me His. This is the gospel and because of what He has done, I have certainty. And the truth of Jesus is there. Jesus faithfully remains the I Am. He remains the true harbour when everything seems tossed and stormy. 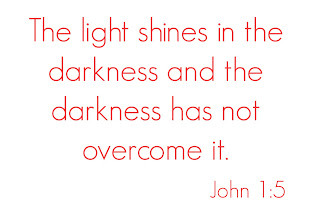 Darkness may be descending, but it will never overcome The Light Who came to dwell among us.